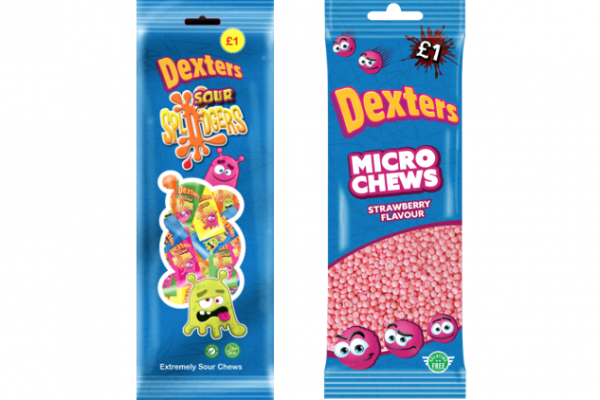 Confectionery brand Dexters is expanding its £1 price-marked pack range with the addition of two new products: Micro Chews and Sour Splodgers. Strawberry-flavoured Micro Chews are available in 170g bags in convenient shelf-ready packaging (SRP) 12 packs. The new Sour Splodgers are, as their name would suggest, “extremely sour chews” and are available in 150g bags. 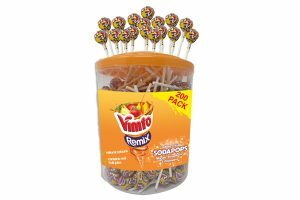 “These brand-new products reflect the ever-growing consumer demand for confectionery innovation and strong, exciting flavours,” says Paul Simpson, commercial director at Kervan Gida. 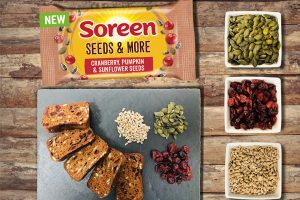 “Micro Chews and Sour Splodgers form part of the latest investment in the brand, sitting alongside our recent re-design of the existing range. Launching in October, both new products are halal accredited. 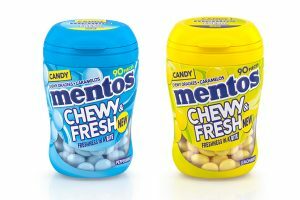 The Micro Chews are gelatine-free whilst the Sour Splodgers are suitable for vegetarians.